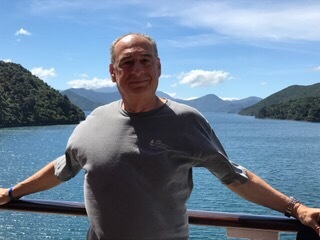 Now we are on the south island of New Zealand in Picton, at the head of the Queen Charlotte Sound. This town was settled by early 19th century whalers and is now a bustling seaport surrounded by lovely shops, restaurants, nature trails and water sports activities. The town is named for Sir Thomas Picton, the Welsh military associate of the Duke of Wellington who was killed in the battle of Waterloo. 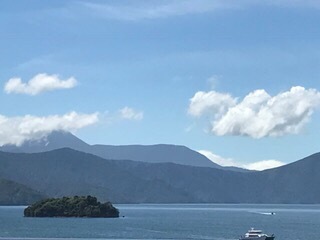 People say that Picton is New Zealand’s prettiest seaside town and I believe them! Our excursion today started with our driver/guide, Dion, telling us a lot about the area. The population here is only 4000. On the way to our first stop, we saw lots of mountains covered with pine trees. We had already heard that forestry is a big part of the economy here and now we know why. Normal time it takes to grow a pine to maturity in most parts of the world is 80-100 years. 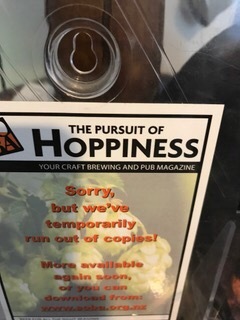 Due to the perfect climate here it takes only 20-25 years, only 1/4 of the time as other places, so the supply is prolific and a huge export to all around the world. 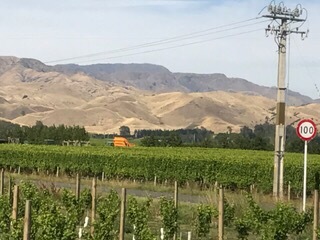 Of course, the Marlborough area here is best known for its wine, especially the Sauvignon Blanc. 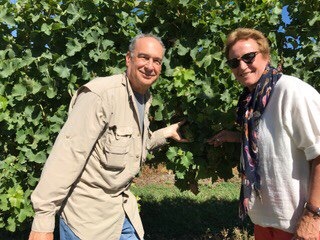 There are more than 250,000 acres of grapevines here and over 200 wineries. Even so, it only produces 1% of the world’s wine! 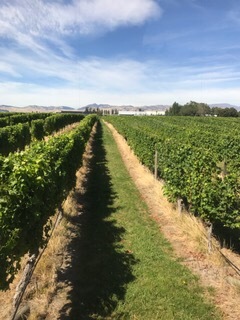 But about 75% of New Zealand’s wine is produced in this area. 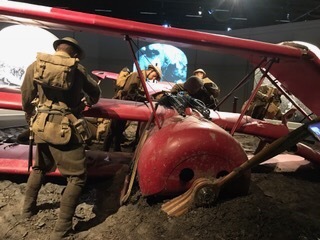 Our first stop was the Omaka Aviation Heritage Center which is the best World War I museum in the world. 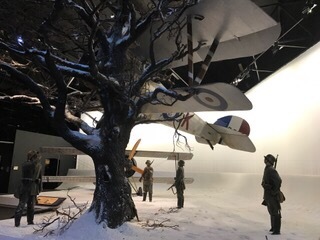 There are 21 planes on exhibit here and the environment was designed by Peter Jackson for movie footage so all of the scenarios are so real. The people’s faces were made using molds of real people. 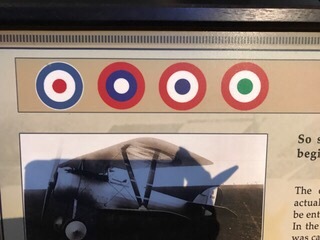 All of what is on display in the center is authentic, some of the planes are replicas but 4 of them actually flew in WWI. We saw the plane of Roland Garros of France. Now I know who they named the French tennis center after. 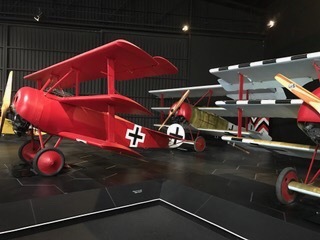 Also the Fokker made famous by the Red Baron is here. There are a few scenarios of aviators from Allied and German sides shaking hands. Apparently there was a sense of honor among them and they greeted each other cordially before capture. The volunteers here are passionate about aviation and history. In fact, Dion warned us not to ask too many questions or we might never get to leave. It was a fascinating place. The uniforms and other memorabilia on display is all authentic. For example, Hermann Goring’s hat cost $200,000 to acquire for display. There are lots of artifacts and personal belongings from many of the pilots. 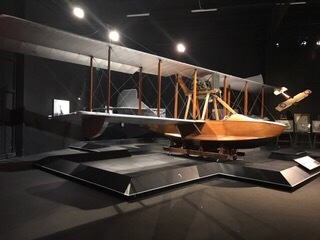 The Vimy plane that was the first to cross the Atlantic in 1919 is here. It traveled at 103 mph. The planes in those days were made of wood covered with fabric. Each had what looked like a bullseye on it and that is how the pilots would know it was an Allied plane. Each of the symbols was of different color combinations. The US manufactured planes but didn’t fly them then. In the blimps, they used the lining from cow stomachs to hold in the hydrogen. Apparently the Germans commandeered all of the cows in Germany for their airships! 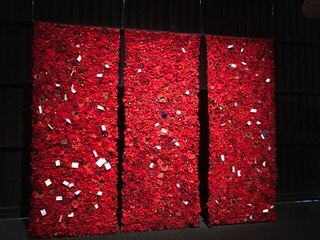 There is a poppy display made by the people of New Zealand in honor of those who lost their lives in WWI. 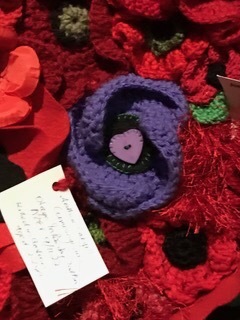 There is a purple poppy in each panel to honor the horses who died. New Zealand sent 19,000 horses and only 3 returned. Our guide told us that they had a “shakearound” a couple of months ago (that is their euphanism for earthquake) and some of the displays are a bit off center and in the process of being adjusted. We did notice a couple of pictures that way but most of the museum was in fine shape. 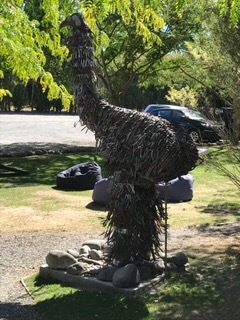 Very worthwhile visit. Wish my dad could have been here, he would have loved it. Many of the planes are still flown in airshows, the next is March 7. We passed the Para wetlands on the way to our next stop. This is where they planted lots of willow trees in the swamp hoping to introduce a new species. Unfortunately it upset the natural balance and killed off the wildlife there. So they killed all of the trees hoping they would decompose into the ground, but that didn’t happen either so it looks like a dead forest. Eventually some blow over in the storms but it will take a while to bring this wetlands back to what it should be. 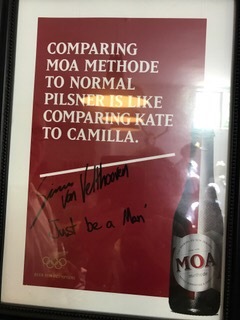 Our next stop was the Moa Brewery. 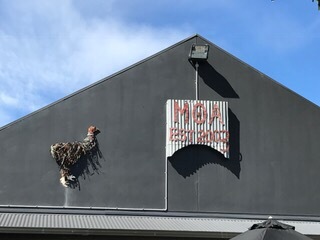 This was founded in 2003 by Josh Scott, the son of renowned Marlborough winemaker Alan Scott. It has a focus on brewing super premium handcrafted beer. 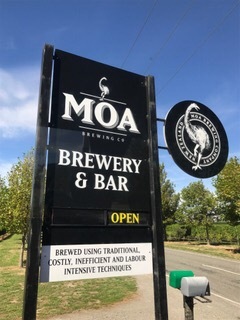 Josh’s motto is “It takes a lot of beer to make a good wine!” The name Moa (pronounced more) is derived from the extinct flightless bird once found here. 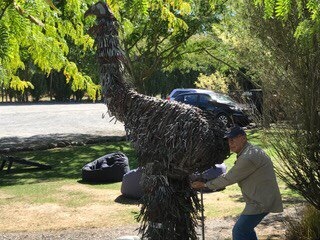 I have no idea what he is doing with this model of a Moa…catching an egg perhaps. 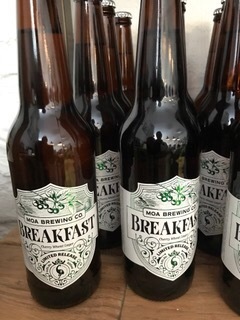 Apparently beer IS for breakfast! 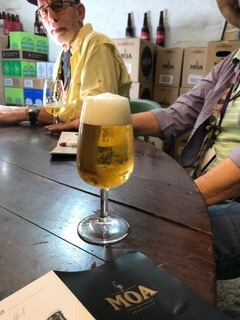 The beers are made the way they used to be, most are rounded off using winemaking techniques such as bottle conditioning where a small amount of active yeast and priming sugar is added to the brew just before bottling (like Champagne). 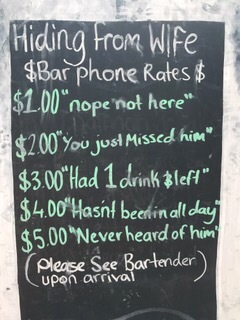 We sampled their cider and several beers. 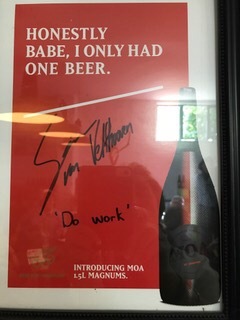 Loved the cider, Norm found some good beers. 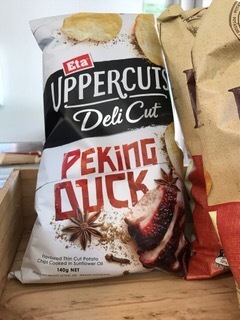 Also seen at the brewery: who knew they made Peking Duck chips?? 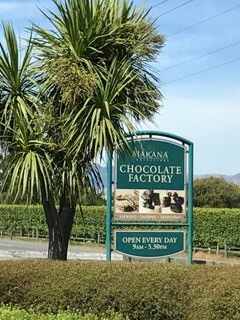 Then it was on to the last stop before heading back to town, the Makana Chocolate Factory. 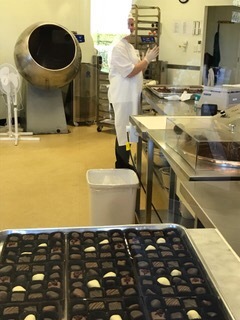 Here we sampled truffles and macadamia butter toffee crunch, and of course bought both. 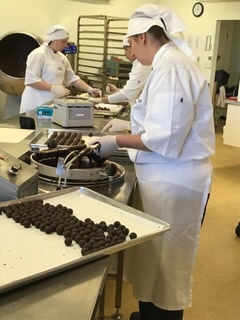 Makana is New Zealand’s leading producer of handmade chocolates and we got to see the workers making truffles and other delicious looking candy. 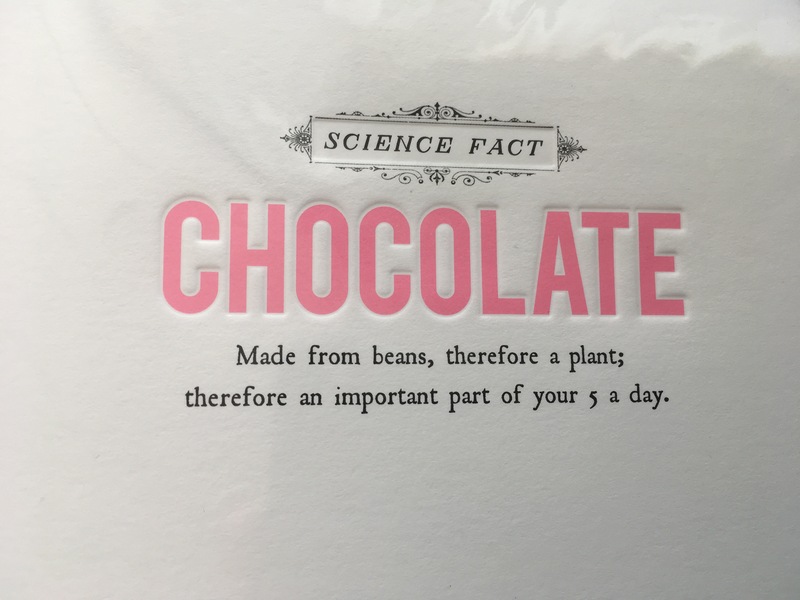 I even found this card which proves scientifically what I have been saying for years! 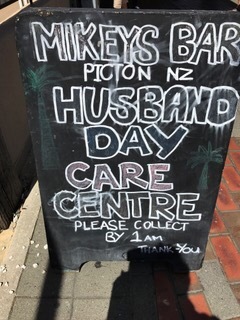 We headed back to the town of Picton, did a bit of a walk and shopped, ending a really beautiful day. 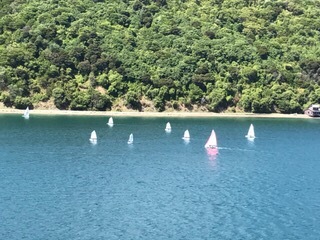 We could see the Saturday Queen Charlotte yacht club regatta from the ship – young sailors in optis, lasers and 420s in the harbor. Reminded me of Mark’s sailing days in those boats. 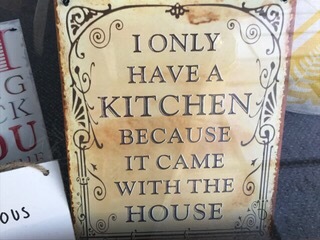 Could this one be for you, Chris? 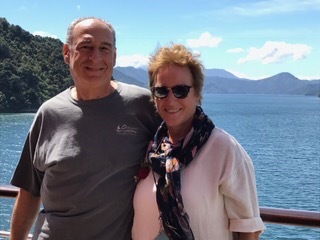 This entry was posted in Excursions, February, World Cruise 2. Bookmark the permalink.